Systems and structures are not for everyone, they are not the work of every person or personality. Yet we all benefit from a well-built and well-maintained structure. Just take a look at yourself for starters. After all if it wasn’t there we would just be a pile of skin, muscle, sinew and veins. A strong and healthy structure creates an environment through which God can do some pretty incredible things. At the Conference earlier this week, we were reminded on a number of occasions how a good system can actually help reach people, raise awareness both to those far from God and those within the church. They know ‘who we are’, ‘why we do what we do’ and ‘how to communicate the good news to others’. The framework should be worked on together where we can come to a place where are agreeable knowing that the benefits will help us to build. It won’t rule us but it will remind us. It won’t get in the way but it will keep us accountable to all God desires to do, in us and through us. Frameworks should be for the facilitation of growth. Frameworks are helpful in reminding people who we are and what we are about. Frameworks for to aid better communication, greater collaboration and increased alignment to the vision. We should become better connected as team. 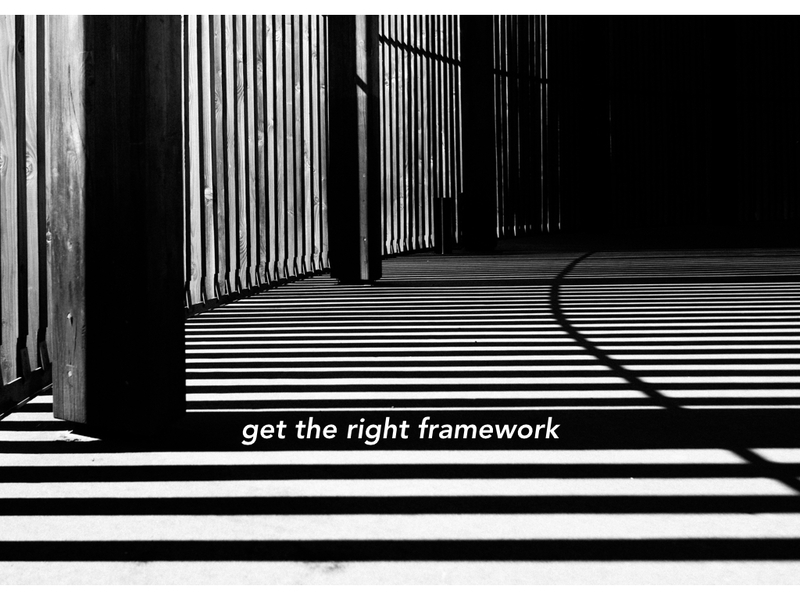 Frameworks create the right kind of accountability. Are we doing what we said we do? How can we improve things by 1% to increase our effectiveness for God? Frameworks should help in the resourcing and the equipping of those who have a mind to work and who are about the building of what needs to be built. Frameworks do not replace the power or the presence of God. Frameworks on their own cannot transform a persons life, rescue them or make them a new creation. Only God can do that. They can however make sure we remember ‘it’s all about Jesus’. A good framework will help bring control to what is being built without holding people back or disempowering them. My heart is to work with others who have the same desire and help create the right frame, structure and systems within my own life, my marriage, my family, my teams and the church I am part of, to create an environment where we flourish, grow bigger and bear the right kind of fruit. What are your thoughts on this? Do you agree or disagree with me?